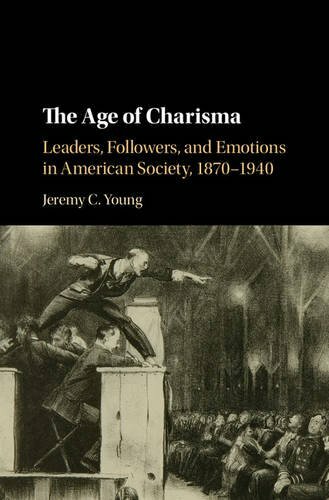 Jeremy C. Young is an assistant professor of history at Dixie State University and the author of The Age of Charisma: Leaders, Followers, and Emotions in American Society, 1870-1940. He says the public has good reason to criticize humanities scholars. I disagree. I’ve just now seen this, and want to welcome you to the discussion. I’m glad my post inspired such a thoughtful response. However, as you might guess, I disagree with some of what you’ve written here. Let me address a few points. I’m not surprised you mention David McCullough at the beginning of your argument. McCullough is indeed a fine writer and a better storyteller than are most academic historians. However, the books of McCullough and his fellow popular historians virtually never contain original ideas or original knowledge; they borrow their arguments from the works of academicians and dress them up in enjoyable verbiage. An excellent example is The Bully Pulpit, the recent book on Theodore Roosevelt and William Howard Taft by Doris Kearns Goodwin (2013). Goodwin, who actually holds a Ph.D. in international relations, tells a great story in that book, but if you find an argument in there that wasn’t borrowed directly from The Warrior and the Priest (1983) by University of Wisconsin professor John Milton Cooper, please let me know. I have no problem with popular historians who tell great stories and don’t make original arguments, but we need to recognize that their great stories would be impossible without academic historians making the original arguments for them to borrow. Get rid of historical research in the academy and there will be nothing for Goodwin and McCullough to write about, full stop. Yes, it was possible in the revolutionary days for people to become important intellectuals in their leisure time — but there’s a very good reason for that. Washington and Jefferson were not, as you state, “doctors, lawyers, farmers, preachers, and businessmen.” They were plantation owners who had abundant leisure time because of the unfree and uncompensated labor of their slaves. They lived in a preindustrial economy that has disappeared in today’s society, not only because of the abolition of slavery, but because of the very system of industrial capitalism that has made the United States so successful. It is no longer possible to become an intellectual on your own time because there are no longer people around to do your work for free; to survive; you must labor yourself. Today, if we want to keep intellectuals in the business, we must remunerate them for being intellectuals; otherwise, they will be forced to do other things for money that will take up all their time and prevent them from functioning as intellectuals. Finally, you mention anecdotal evidence that teachers who are too focused on research are likely to be poor teachers. While I agree that there are some teachers for whom that’s true, there are perhaps just as many who are poor teachers because they do too little research or none at all. For a good teacher, teaching and research operate symbiotically. I am a better teacher because I am research active; I can teach students how to write and how to think historically because I do those things on a daily basis. A bad teacher who is overly focused on research is not evidence that research is bad, any more than a bad teacher who does no research is evidence that teaching is bad. They are simply bad teachers. Again, I’m grateful for this response and for your thoughts. 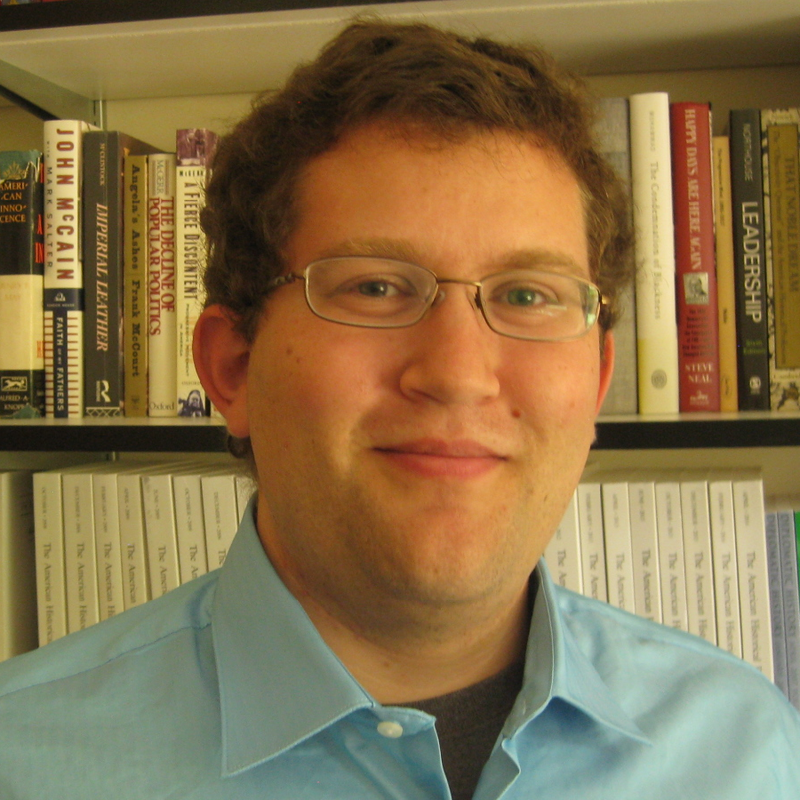 In late December, Messiah College history professor John Fea interviewed me about The Age of Charisma for his blog, The Way of Improvement Leads Home. I’m grateful to John for the opportunity to speak about my book and my scholarship overall. Click here to read the interview. We have misunderstood our critics. They in turn misunderstand us. I’ve written an essay, published today at History News Network, about the problems with most defenses of the humanities. It’s not that our critics believe the humanities don’t matter, I argue; it’s that they think there’s no new knowledge to be created by modern humanities scholars. Convincing non-academics of the value of humanities professors requires convincing them of the value of research and writing. Thanks to Rick Shenkman for publishing this piece. Click here to read the essay. Over at the S-USIH blog, I have a post on how my reinterpretation of Robert Grant’s novel Unleavened Bread led me to a fresh take on Herbert Croly’s important book of progressive philosophy, The Promise of American Life — and to realize that The Promise was a book not about intellectual life, but about political charisma. Click here to read the post. I’m particularly proud of my new guest post at Nursing Clio, which argues that Marcus Garvey and Donald Trump prove that emotional appeals and uplifting fantasies are essential for successful political movements. I’m grateful to the editors at Nursing Clio for their interest in my work. Click here to read the post. Walter Benjamin, Ed Miliband, and Keith Ellison have much to tell us about our moment in history. As we approach both the holiday season and the official release date of my book (huzzah! ), I’ve been posting a daily reason to pre-order my book as a Christmas gift. Using Storify, I’ve created a record of those tweets. Hope you enjoy it!